Recently we added a feature to our website. 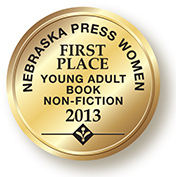 We did it for teachers, school librarians, and public libraries. All of my book covers are now available in a PDF format for simple and easy reproduction. 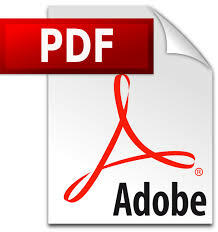 Simply click on the blue "download" text for any one, or all our covers. These reproductions are perfect for classroom bulletin boards, library bulletin boards, or simply for decorations. This feature is not limited in use, and we encourage you to send photos to us, showing how you have used our bookcovers. Go to "Contact Us" and e-mail your photos to us. We are eager to see your creations! The Nebraska Adventure is a 4th grade Nebraska history textbook. The outline for this book is based on the Nebraska Social Studies Framework and teaches Nebraska geography, history, economics, citizenship, and government. The book places the state's historical events in the context of our nation's history. 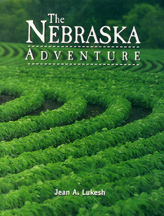 Order the Nebraska Adventure directly from Gibbs Smith Company at 1.800.748.5439 or Landmark Bookstore – Nebraska State Capitol/State Historical Society 1-800-833-6747 or 402-471-3447. Aviation Machinist’s Mate Theodore “Ted” Sazama was a Nebraska farmboy who left his home and the girl of his dreams to serve in the U.S. Navy in World War II. From 1942 to 1945, he kept this day-to-day diary or journal, detailing his experiences and his love for his country, his home, his family, and his beloved wife-to-be. Illustrated with black and white war photos. 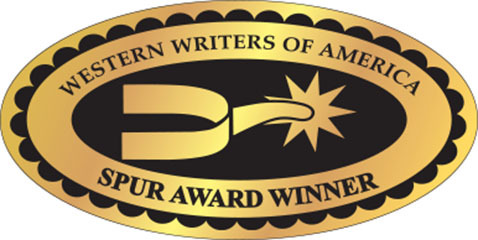 (FM War Memoir Books, a division of Field Mouse Productions.) WWII Memoirs Series. A quick reader's biography of Ben Kuroki, a Nebraska-born, Japanese American who fought very hard to become an American aerial gunner and a hero during World War II. In that war, he flew a total of 58 missions against both Germany and Japan. Throughout his adult life, he often spoke out for good citizenship and against racism. A quick reader's biography of brothers Frank and Luther North and the Pawnee Scouts who protected overland trail travelers, settlers, and railroad workers in the Central Plains during the Plains Indian Wars and the building of the Transcontinental Railroad. Two of those Pawnee Scouts "shared" the first Congressional Medal of Honor ever awarded to a Native American. 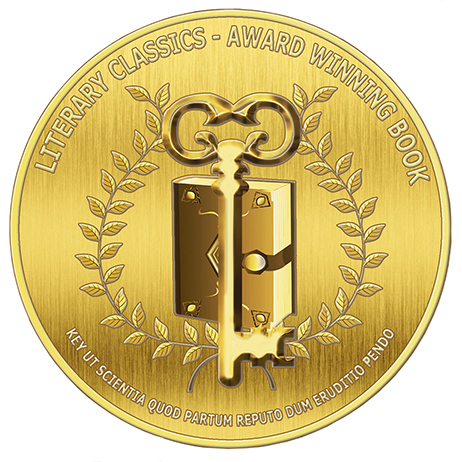 An eagerly-awaited quick reader's biography (for readers 10 to 110) that explores the story of "The Darling of Washington D.C.," the mysterious teenage Otoe Indian woman whose portrait hangs in the White House alongside five other 1822 portraits of Plains Indian Chiefs and delegates from the Great Plains. A quick reader's biography of Evelyn Sharp who learned to fly an airplane as a teenage girl. She became the youngest woman commercial pilot, taught men to fly for war, became a well respected member of several women's flying groups, and flew war planes across the country so they could be sent to action overseas during World War II. 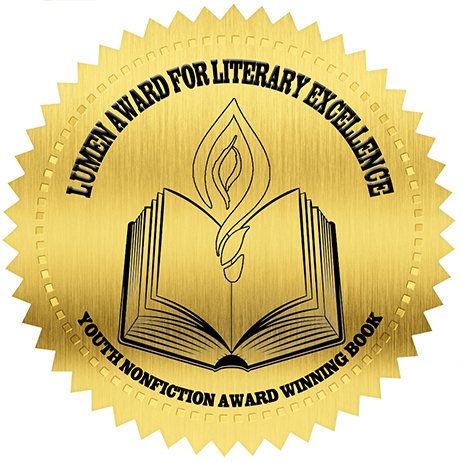 Secret Brother: The Story of Solon Borglum, "Sculptor of the Prairie"
A quick readers' biography of Petalesharo or Man Chief of the Skidi (Loup or Wolf) Pawnee of Nebraska. 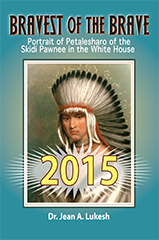 As a young man, Man Chief became famous among the people of the Plains and later when he visited President James Monroe in the White House in 1821-1822. Many people of the East painted portraits of him or wrote poems, plays, essays, and stories about him. 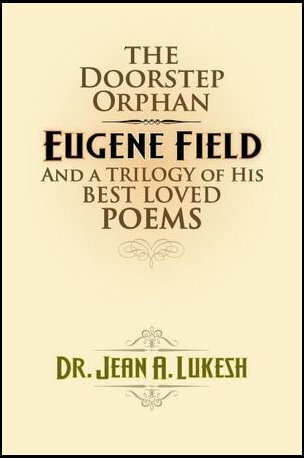 One of those portraits still hangs in the White House in Washington D.C.
A literary criticism biography of Eugene Field, who was known in the late 1800s and early 1900s as the Children's Poet and the Poet of Childhood, featuring three of his best-loved poems, "Little Boy Blue," "Wynken, Blynken, and Nod" (also called "The Dutch Lullaby"), and "The Duel" (also called "The Gingham Dog and the Calico Cat"). LitCritBio series Includes notes, glossary, annotated bibliography. 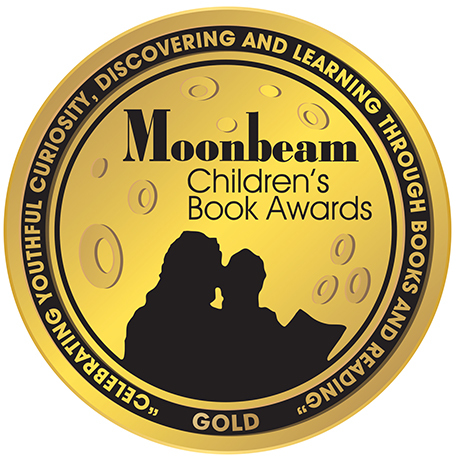 An easy-reading horse story for young readers that is seemingly told by a real horse named Shawnee from her birth to adulthood. Illustrated with real pictures of Shawnee, her pasture mates, and other horsy things, along with horse facts, highlighted vocabulary, thinking questions placed throughout the text, and with a glossary of horse terms at the end. Illustrated with 19 color photographs inside and two on the cover. Approximately 40 pages. R.L. :3 I.L. : Pre-K through all ages. 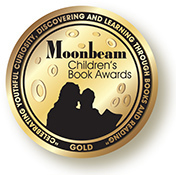 An easy to read picture book in which a teacher and her class discuss the concept of a hero, especially everyday heroes. 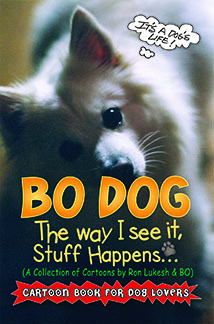 A humorous collection of seasonal and other cartoons drawn straight from the mind and actions of Bo, a real American Eskimo Dog. Acartoon book for dog lovers of all ages. 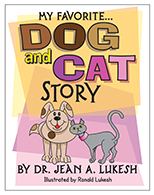 A primary-level readers’ theater story or read aloud in which a dog and a cat with very different attitudes take turns telling about their favorite things as those things happen during the day. (Field Mouse InterActive Play Series) Includes reproducible script. Field Mouse Productions, Copyright 2014. The Field Mouse Logo is a TM of Field Mouse Productions.